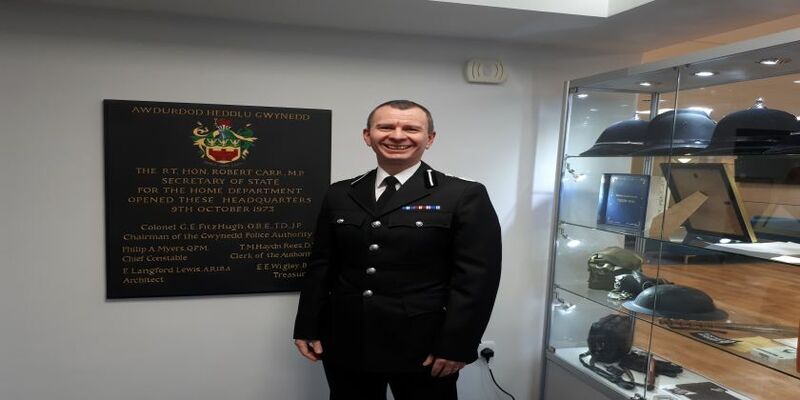 A newly appointed Deputy Chief Constable vows to help deliver outstanding services to local communities and strive to make North Wales the safest place in the UK. DCC Richard Debicki will be working alongside the Force’s new Chief Constable Carl Foulkes, who took up his post last November. DCC Debicki said; ‘I feel extremely privileged to have been appointed as the new Deputy Chief Constable for North Wales Police. Having worked within the Force for almost five years my heart is in the Force and in public service in north Wales. I feel very proud to be living and working amongst our communities. “I will be working to support the new Chief Constable in ensuring that North Wales Police delivers outstanding services to our communities and is the safest place in the UK, and supporting the Police and Commissioner in delivering his Police and Crime Plan. We have placed a significant emphasis on protecting vulnerable people – victims of Domestic Abuse, Child Sexual Exploitation, Modern Day Slavery, Sexual Abuse and organised crime – these will continue to be my key priorities in the new role, and we will continue to focus our efforts in protecting the most vulnerable people in society. “North Wales Police is a force with an excellent track record, not least because of the strong relationships we have with local people. I place a premium upon excellent quality of service, and believe that this is exactly what the public deserve. In doing so, we will be working to deliver alternative services and ways for the public to contact and engage with us – our work in respect of digital policing will be essential here – and I believe that people being able to access our services at a time and in a way that best suits their needs is an important element of providing a quality service. It’s also what people rightly expect. “I also firmly believe in strong personal contact between our police officers and staff and our communities, and we will place much emphasis on neighbourhood policing in order to ensure that the public have confidence in us as a service – essentially people want to be reassured that they will get help when they need it, and that they are able to talk to people in their communities who understand their problems. Problem solving is an important priority for me going forward, so that we best keep the public safe, by working with our trusted partners in the region.